The Community Health team had recently organised a free eye checkup camp in one of our partner schools. 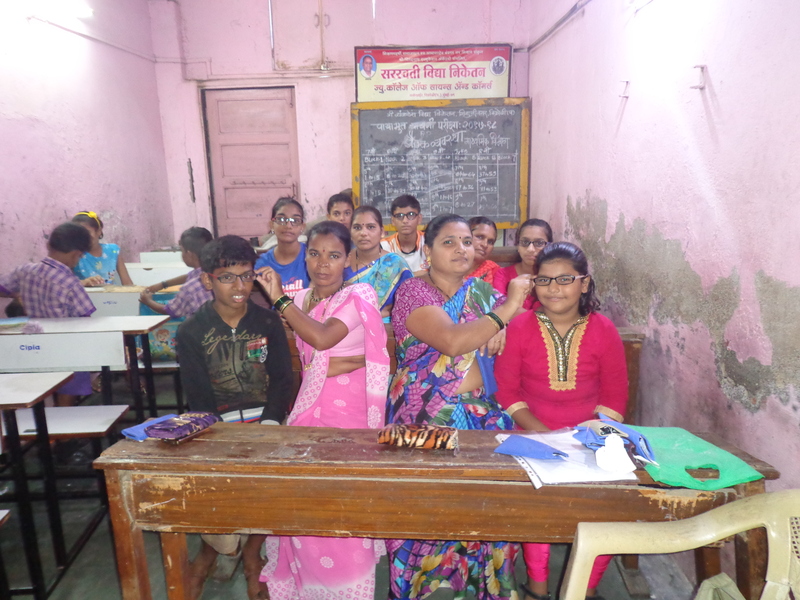 Vyankatesh Vidya Niketan High School is one of our Education partner schools, which is situated inside a slum area and the students of this school belong to one of the most underprivileged sections of Mumbai. During the camp, out of the total of 270 screened students, 37 were detected with eye ailments. These students were then taken for further screening by the doctors to check for the issues in minute details and start with the treatment. Of these 37, 11 were found to have refractive error, which means that their eye sight can be supported by the use of spectacles. These prescription spectacles were then made for the students and then given to these students free of cost. Along with spectacles distribution, each student was also given an individual counseling on how to take care of one’s eyesight with necessary fruits and vegetable high of Vitamin A, such as carrots, as also how to take care of the spectacles and importance of getting the eyes checked regularly. We wish to thank our partner Doctor Eye Institute, which helped us with running this free eye camp and distribution of the spectacles for these children and to the school for the logistical support in conduction of the camp and distribution of spectacles in a disciplined and organised manner.